Considered one of the most technologically advanced private colleges in Arizona and 100 percent STEM focused, the college offers over 20 undergraduate degrees and their cybersecurity program is one of the top in the country. With the mission to “educate students in advancing technology who innovate for our future” – as Provost Dr. David Bolman puts it, “to elevate the thinking of what technology is about,” – the curriculum provides an applicable experience where the student learns outside of books and actually builds something, fails, then builds it again. One UAT alumni we’ve been following who came out of the game development program is Tristan Moore, co-founder of Broken Windows Studio. Their studio released two games: GRAVE, an open world horror game on PS4 and Xbox One, and Reflections, an open world dynamic narrative game, on STEAM and is headed for console with Oculus Rift. They were recently highlighted on FOX News for their advancement with virtual reality games and noted in USA Today as an emerging game developer in the AZ tech scene. 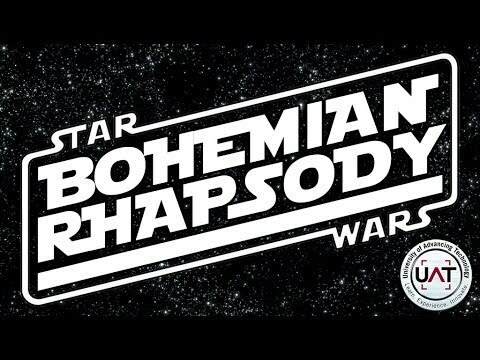 The UAT digital media lab has Professor Paul DeNigris, an award-winning filmmaker and film-educator, who led the efforts for their viral video “Bohemian Rhapsody: Star Wars Edition” with over two million hits. In an interview with Bolman, he discusses the UAT methodology, “learning has changed…by the time the student leaves UAT…they’ve gone through the process of thinking of a need of innovation, working with a team and finish with something – sometimes it fails, sometimes it wins, but you know how to do it,” he said. The game development program holds Greenlight Celebrations where students showcase their latest games, some that have gone to market. Ben Riechert, co-founder Game CoLab, is an associate professor at UAT talks about the entrepreneurship programs to help game developers take their projects to market and the virtual reality HoHoKam project in our latest interview. Read all our coverage about UAT here.